Screening the Past > Film After Film: Or, What Became of 21st-Century Cinema? 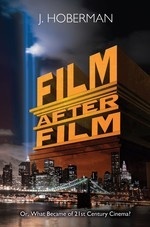 Film After Film: Or, What Became of 21st-Century Cinema? Long-time (but now former) Village Voice film critic J. Hoberman opens his investigation of cinema in the twenty-first century with two quotations: one is a 1999 prediction by Bruce Goldstein that in fifteen years all movies will be animated or computer-generated; the other is D.N. Rodowick’s account of the difference between the analogue and the digital, on the grounds that whereas the analogue provokes a “yearning for the past,” the “digital will wants to change the world.” This already suggests the answer to Hoberman’s own opening question, “Can we speak of a twenty-first-century cinema? And if so, on what basis?” (3), is more than anything a question of what it means that we are entering into a digital age, and how that differs from the analogue age of the twentieth century. Hoberman reasonably turns to André Bazin’s “objectivité of the objectif,” that is, the impartiality of the lens, to delineate what is cast into doubt by the digitalization of the image. One might have expected Roland Barthes to receive mention in this vein also, especially given that Hoberman draws attention to the fact that analogue photography is a technical process based on “the chemical reaction by which light left an authentic trace on photographic emulsion” (4). It is this physico-chemical chain that is ultimately responsible for the link between photography and the uncanny: photography shows something that was, uncannily bringing the past into the present and thus – like all instruments that conserve the past in the present, but more precisely and intensely than other instruments – serving as a mirror revealing our own mortality. But the materiality of the chain of connection that leads from the light entering the lens and striking film to the moment when it enters the eye of the viewer is broken when the intervening editing process switches to “infinitely malleable binary code.” Hoberman describes this as a “divorce between photography and the world,” first exposed clearly by Photoshop: the effect of this divorce is precisely to undermine the Bazinian objectivity of the photographic and cinematic lens. The ultimate result for cinema is that, in the digital age, to continue to oppose the animated image to the real image could only be indicative of a low level of analysis: “With the advent of CGI, the history of motion pictures was now, in effect, the history of animation” (p. 5). In other words, while it may always have been the case that the difference between the real and the manufactured image could only ever have been a distinction and not an opposition, the significance of the universalization of digital editing lies in the fact that it is now barely a distinction: it more closely resembles a continuum in which “real” cinema becomes a theoretically dubious subset of animated cinema, or simply, of cinema itself, now understood in a more general sense to be animation, as Hoberman perspicaciously highlights. This undermines cinematic “objectivity” not because there is no actuality whatsoever to the “this was” shown by a digital photograph; it is that the ease with which binary code becomes infinitely malleable casts this actuality into radical doubt. Does this decrease or increase the uncanniness of the photographic image? In rupturing the certainty of the link to what was, the digital image dilutes the feeling that the dead past is being re-animated in the living present. But there is a sense in which this brings with it another form of the uncanny, or at least a profound anxiety, about the uncertain provenance of what we see, or rather the potential lack of any ground for the image whatsoever. In what is perhaps not a very original observation, Hoberman notes that the success of The Matrix (USA 1999) lay not only in its pioneering use of digital technology to manipulate the image, but also in providing “an irresistible ruling metaphor” for our anxiety about the (lack of) origin of the simulated imagery that pervades everyday life, a terror that easily turns to paranoia, political or otherwise. Hoberman identifies two forms of this anxiety insofar as it specifically affects film, forms that he refers to respectively as “objective” and “hysterical.” The objective anxiety is the result of what could be called cinematic decadence: the decline of analogue cinema at a technical level, as the apparatus and systems of twentieth-century cinema become obsolete, as parts become irreplaceable, and as audiences increasingly forego the movie theatre in favour of content-delivery systems based in the home or mobile devices; but also a decline at a cultural level, as film criticism wanes in influence and as there seems to be a loss of the love of film (whereas, for example, the New Wave might be seen to have been the peak of this cinephilic culture – a cinema for the film-lover created by filmmakers who were themselves film-lovers and, mostly, writers on film before they were filmmakers). Hoberman sees this objective anxiety as directly related to Rodowick’s notion of the digital will, to the inherent remaking and rebuilding of the world and its dreams that is essential to computer-generated imagery – for which the “ruling metaphor” could be thought to be provided by Inception (USA 2010). One key consequence of this objective anxiety identified by Hoberman is a “new, compensatory ‘realness,’” (p. 22), a somewhat elusive, if allusive, catch-all notion for which his examples range from Kiarostami’s Ten (Iran 2002) and von Trier’s Dogville (Denmark 2003) to Gibson’s The Passion of the Christ (USA 2004) and Spielberg’s War of the Worlds (USA 2005). In the first two of these, the point is that this is cinema founded on very deliberate artifice, but an artifice that, however transparent, is also an attempt to reconnect with a “reality” that seems constantly to be slipping away. In the case of Dogville, Hoberman justifiably sees the entire film, played out on a literally transparent set, as “in one sense a two-hour-plus build-up to the end credit montage” (p. 26), that is, to the sequence of historical, analogue photographs that add the auratic (in Benjaminian terms) gravitas of actuality and mourning to the highly theatrical Trauerspiel (in Benjaminian terms) played out in the course of the narrative. The latter two examples of this so-called “new realness” are perhaps compensatory in another sense: in a world pervasively “simulated,” in which desire finds it difficult to locate genuine objects on which to attach itself, there arises the paradoxical wish for a cinematic representation that confronts the viewer with the brute facts of reality, however fantasized, ritualized, or iconographic. This ties the so-called new realness to the “hysterical anxiety” that for Hoberman is the direct result of the events of September 11, 2001: these events, played out live on television globally, seemed to provide “the ultimate movie experience” (p. 27), that is, to evoke the imagery of disaster movies (even, we might add, for those who witnessed the events on location, so to speak). The shock of 9/11 implicitly raised the question, for audiences and for the industry, of whether the Hollywood dream factory was responsible: (a) either for distracting America, diverting attention to childish fantasy, and thus contributing to the possibility of Americans being caught unawares by the evil that others would do to them; or (b), for those cinematic fantasies that formed and shaped the collective unconscious, but more particularly fuelled the dreams of the attackers themselves, and therefore at least indirectly responsible for the performative remaking of the world by al-Qaeda. Hollywood’s contradictory (that is, bad faith) response to this moment of bad conscience is illustrated by Hoberman’s persuasive reading of Spielberg’s remake of the Wells’s classic tale of enemy invasion: the imagery of 9/11 is exploited in a deliberately pseudo-documentary way not just to allegorize and therefore “address” (in Spielberg’s usual ultra-conformist way) contemporary geopolitical events, but at the same time to slake the thirst of audiences to revisit the feeling of brutal reality, and the reality of brutality, with which they were confronted, televisually or otherwise, on that day. Following this theoretical and analytical approach to the question of the cinema and of its future, the remainder of the book follows these questions out across two large sections: a “chronicle of the Bush years” drawn from Hoberman’s Village Voice articles from 2001 to 2008 that are then “updated” by inserting additional annotations; and “notes toward a syllabus,” consisting in readings of particular movies that Hoberman sees as emblematic of twenty-first century film after film, mostly because of either their use of digital technology or their exemplification of the aforementioned “new realness.” In both sections Hoberman’s accounts are often evocative and perceptive, if it must also be said that they at times show a journalistic over-willingness to make too many associations, to read too much in (to the films, or to the political events of the day), to interpret cultural phenomena in what is at times a form of partisanship that already seems somewhat dated (yet who could argue with such cinematico-political cultural observations as his conclusion, in his reading of The Manchurian Candidate [USA 2004], that “the Democrats may know how to make a movie in Hollywood, but the Republicans have long since perfected the art of making a movie in ‘life’” [p. 104]?). As Hoberman surely knows, the twenty-first century, like the digital revolution, is only just getting underway. The temptation to see the coming years as inevitably continuing under the sign of the “hysterical anxiety” of the predominant cultural response to 9/11 is already beginning to look short-sighted: anxieties about the fragility of “the system” in the face of external threats are beginning to seem more like reflections of a broader and deeper anxiety about far graver internal threats to a system that, as definitively globalized, really has no outside in any case. This more profound anxiety has resulted in not just documentaries about the financial crisis such as Inside Job (USA 2010) or (slightly more obliquely) Casino Jack and the United States of Money (USA 2010), but in generic entertainments that largely concern the travails of the small businessman in a time of seemingly irreversible economic decline, such as Dominik’s Killing Them Softly (USA 2012) and Soderbergh’s Magic Mike (USA 2012). One cannot help but imagine that this kind of thematic preoccupation also reflects filmmakers’ awareness of the financial precariousness of film production today. Perhaps the moment of transition between these preoccupying anxieties about, respectively, national and financial security, is best represented by the Coen brothers farce, Burn After Reading (USA 2008), in which the two paradigms are conjoined. What this suggests is that, if it is undoubtedly the case that the beginning of the twenty-first century represents the beginning of a new mnemo-technical age, that of digital information, then the real question is how this is articulated with the future of the technical system more generally, that is, with an economic and industrial model founded on stimulating consumer desire while in fact undermining the very possibility of desire, and dependent on a financial system addicted to short-term speculative ecstasies and mired in “functional stupidity.” Hoberman’s question of the basis on which to think cinema in the twenty-first century means linking together these twin questions of the mnemo-technical future and the technical future, but it requires a more solid foundation and penetrating analysis than Hoberman is able to provide. Nevertheless, despite lacking a sufficiently powerful theoretical matrix with which to animate his frequently convincing critical insights, his book does succeed to a significant extent in connecting its initial theoretical reflections on digitalization with aesthetic and political judgments, thereby providing a powerful rumination on the sociopathological consequences emanating from the oscillating interplay between the technological sphere and the cultural sphere as they currently articulate and disarticulate themselves. Cf., Roland Barthes, Camera Lucida, London: Flamingo, 1984, and Bernard Stiegler, “The Discrete Image,” in Jacques Derrida and Bernard Stiegler, Echographies of Television: Filmed Interviews, Cambridge: Polity, 2002. See the three volumes of Stiegler’s Disbelief and Discredit series: The Decadence of Industrial Democracies, Cambridge: Polity, 2011, Uncontrollable Societies of Disaffected Individuals, Cambridge: Polity, 2013, and The Lost Spirit of Capitalism, Cambridge: Polity, forthcoming. This term, functional stupidity, is advanced by Mats Alvesson and André Spicer in “A Stupidity-Based Theory of Organizations,” Journal of Management Studies 49, 2012, pp. 1194–1220, to describe aspects of organizational life, such as an absence of reflexivity, a refusal to use intellectual capacities in other than myopic ways, and the avoidance of justifications, that occur when organizations are grounded in economies of persuasion that emphasize the manipulation of images and symbols. It awaits an in-depth application in the case of the global financial crisis of 2008.